Hi all! 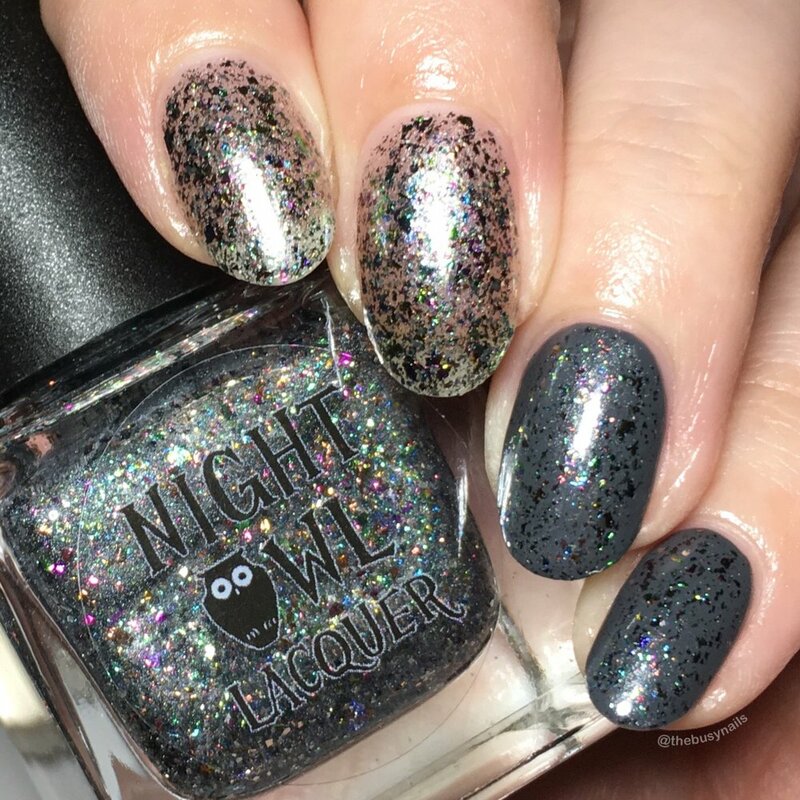 I'm excited to share today's post since I know so many of you loved Night Owl Lacquer Chasing Dreams, which was a Polish Pickup exclusive and is no longer available. Lindsay (the maker behind NOL) had so many different versions, or "sister polishes", of Chasing Dreams that she loved, she's decided to release a few of them in the shop! Let's take a look. PRICE: Full trio: $32.00 They'll also be available individually at $12 each, with the exception of Reverie which will be $11. 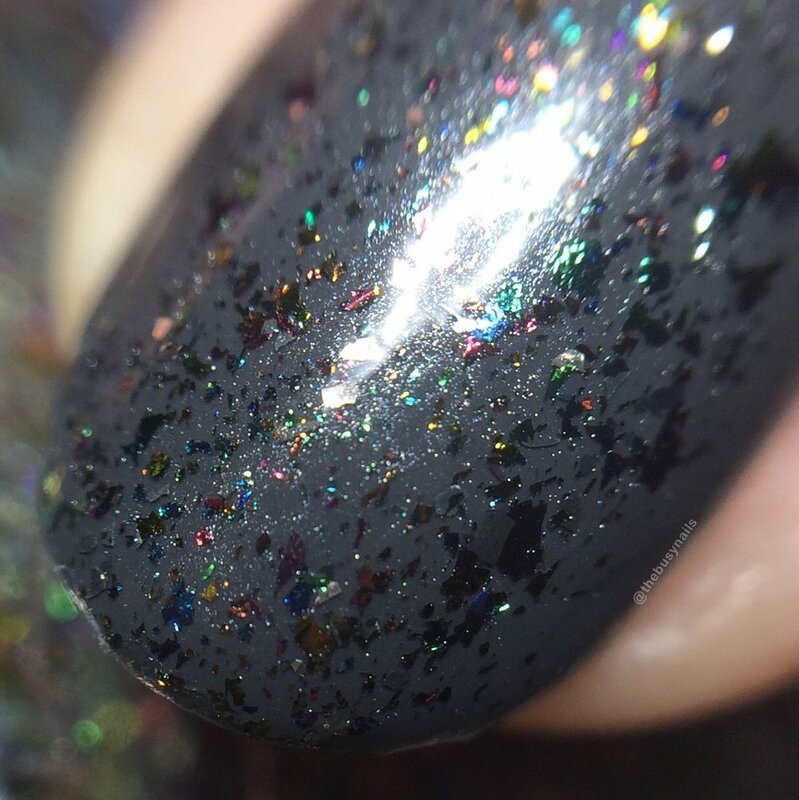 Maker description: This is the allllll the flakies version of Chasing Dreams. After I posted a mixing video showing all the flakies Nichole of Bedlam Beauty came to me with the idea of doing a just flakes version and she named it. It has a slightly platinum tinted base packed with bright silver flakes and 3 different shades of color shifting ultra chrome chameleon flakes. It can be opaque on it's own in 3 coats but it would probably make an awesome topper too. My thoughts: I'm personally not a huge fan of an all-flakie mani, but as far as the formula and variety go in this one, I was really impressed. I had good, but not quite full coverage in three generous coats on its own. I think sponging would give better opacity. I really like how it looks in just one coat over a dark base. I had great, even distribution of the flakies in both applications and all the flakes lay nice and flat. My matte topcoat isn't cooperating lately, so these still have some shine, but you get the idea. 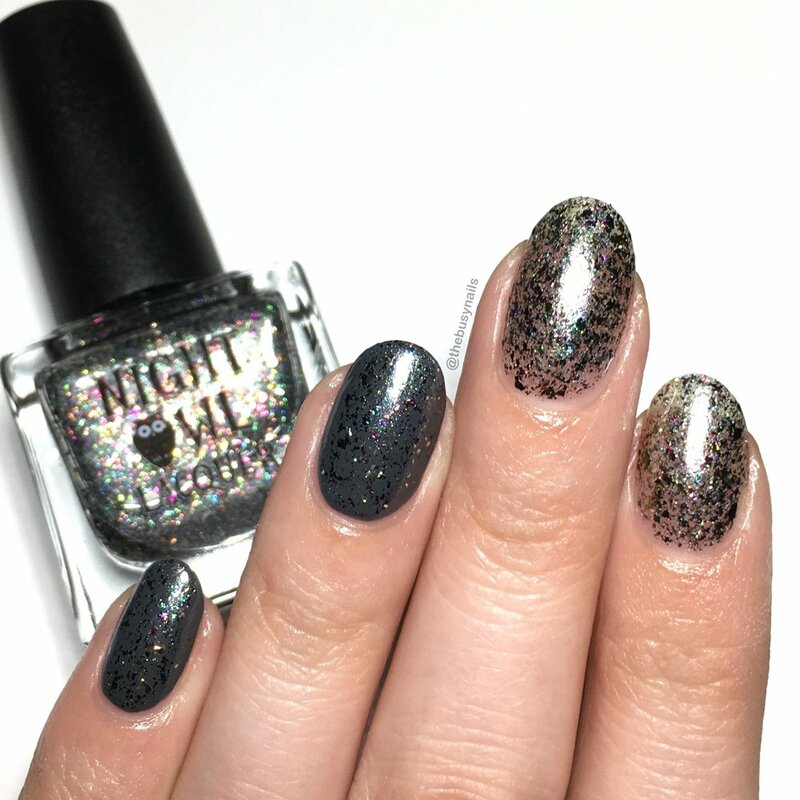 Flakie polish + matte topcoat = dreams. 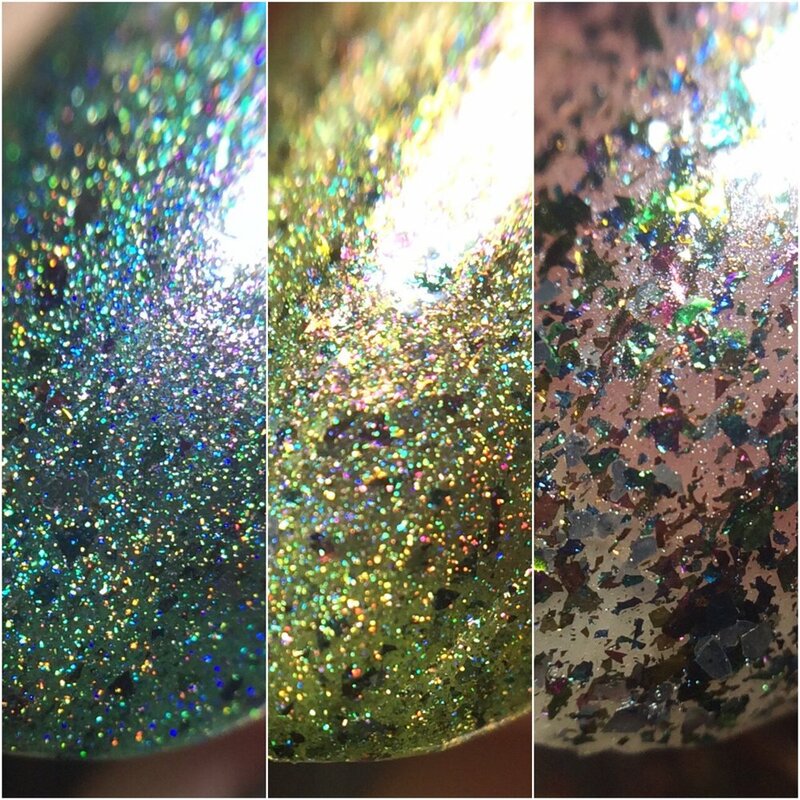 Maker Description: a light green linear holographic base with a pinkish red to yellow shifting shimmer, charcoal flakies, bright silver flakes and 3 different shades of color shifting ultra chrome chameleon flakes. My thoughts: Great formula! 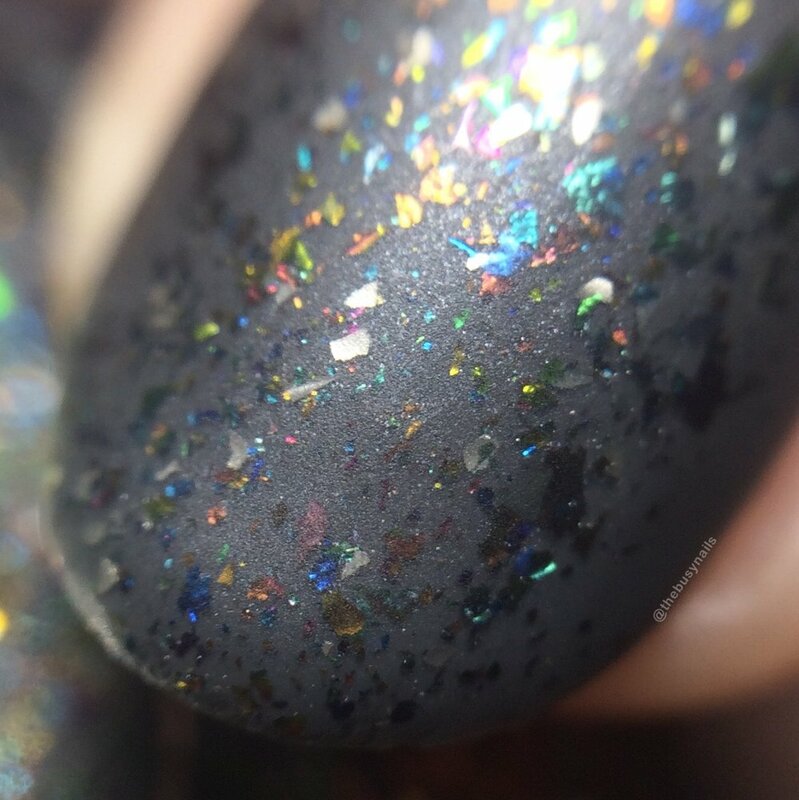 This had excellent coverage for such a light holo. 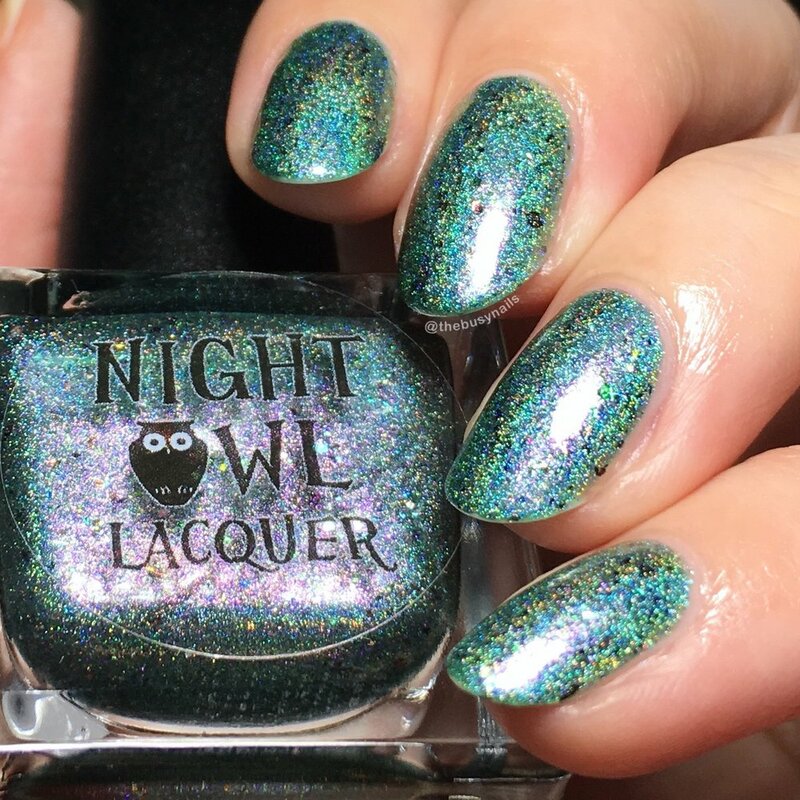 If you like this particular shade of green, you'll want to snag this polish. It's so unique. It's more of a light yellow green to me than just a light green. Hard to describe, but very pretty and fun for spring. 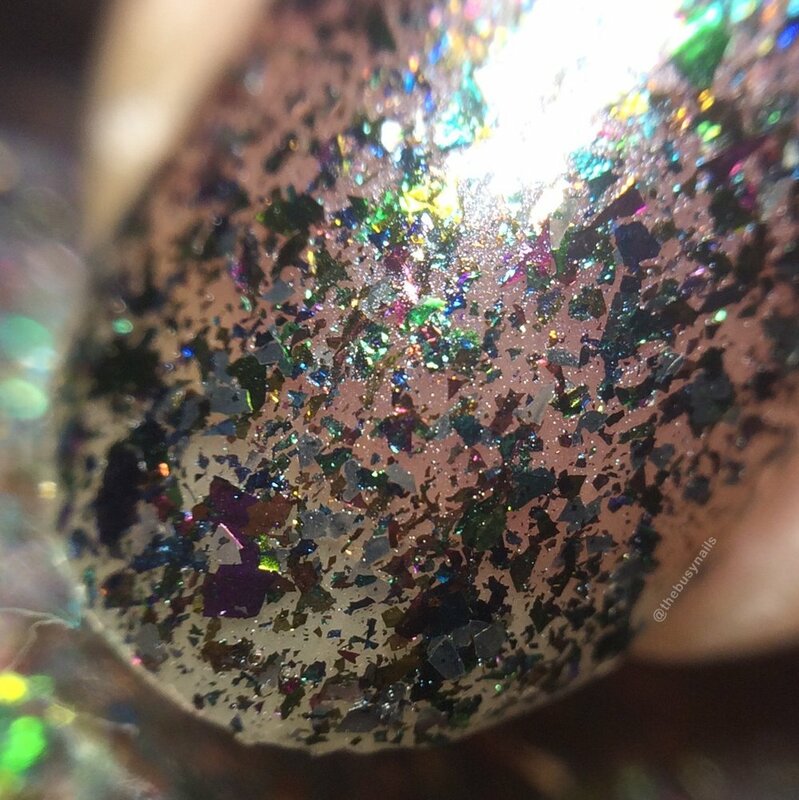 Maker Description: a teal linear holographic base with a pinkish red to yellow shifting shimmer, charcoal flakies, bright silver flakes and 3 different shades of color shifting ultra chrome chameleon flakes. 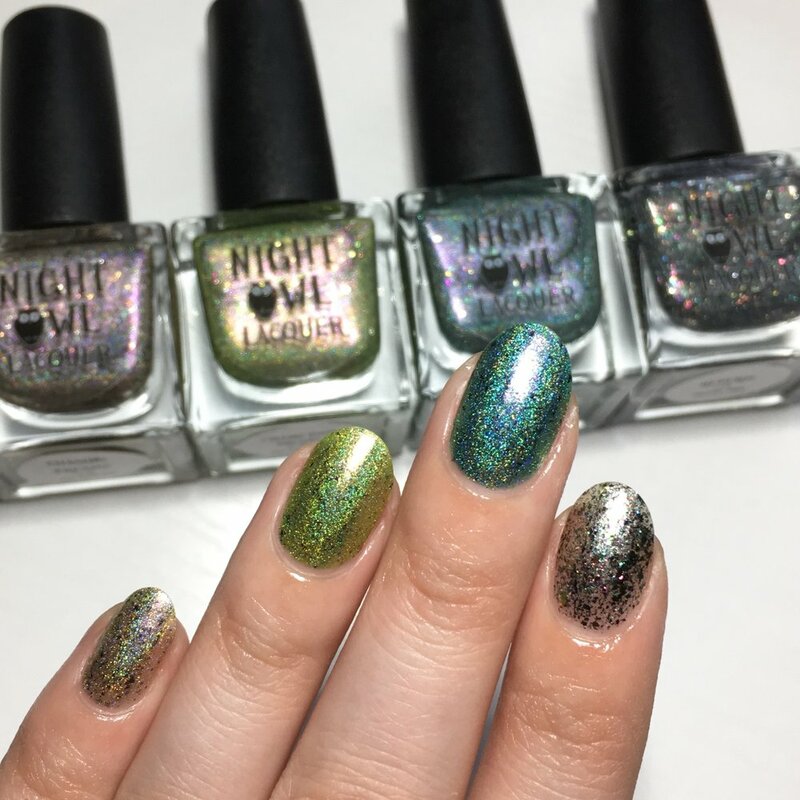 Here's a look at the three new shades next to the original, Chasing Dreams, on my pinky. They compliment eachother so well! 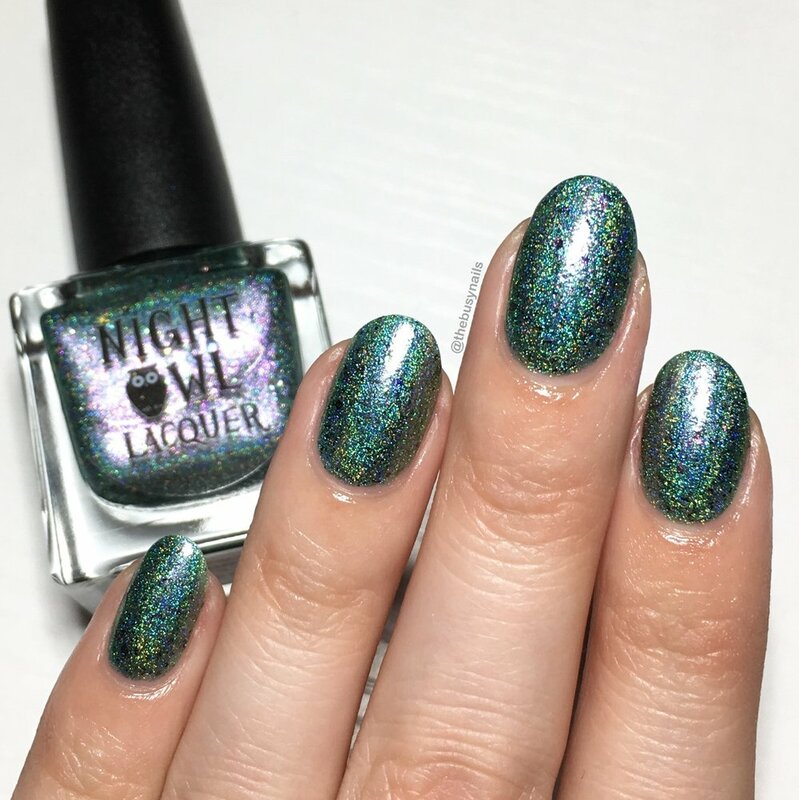 Remember, you can grab the Dreams Trio Friday, February 16th at 8 PM MST in the Night Owl Lacquer shop.